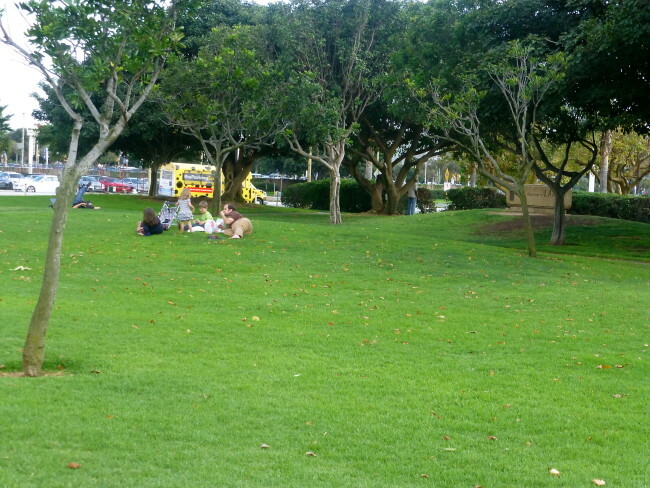 Looking for something fun, informative and free (yes, FREE) to do in Los Angeles? Then I’ve got your ticket! 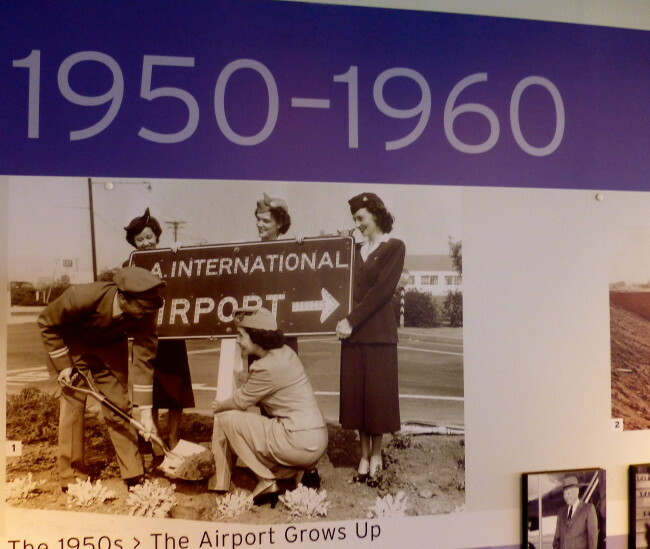 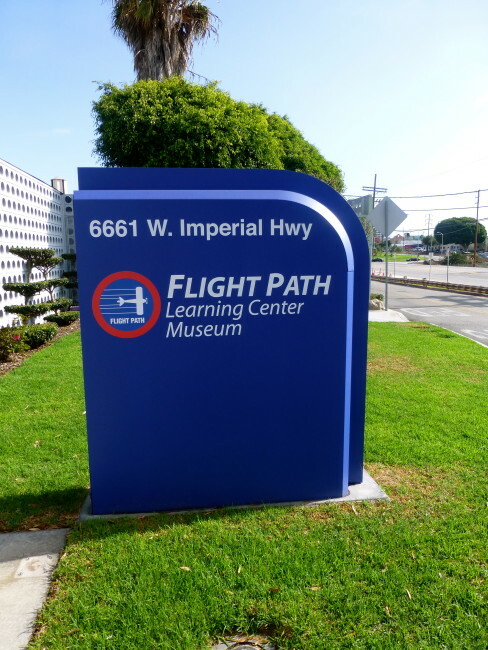 Stop by the Flight Path Learning Center & Museum located adjacent to Los Angeles International Airport where you can learn a little airplane history while having a blast reliving your traveling past. Our friends Helen and Joanne (a professed “airplane junkie”), who told us about this place, joined us on a beautiful Saturday morning in November. 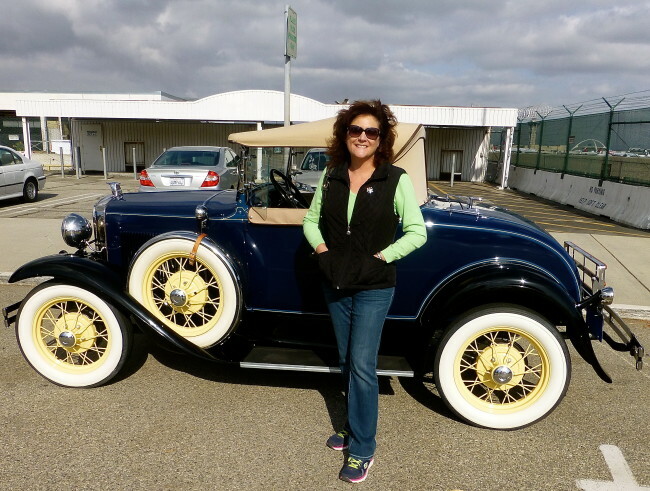 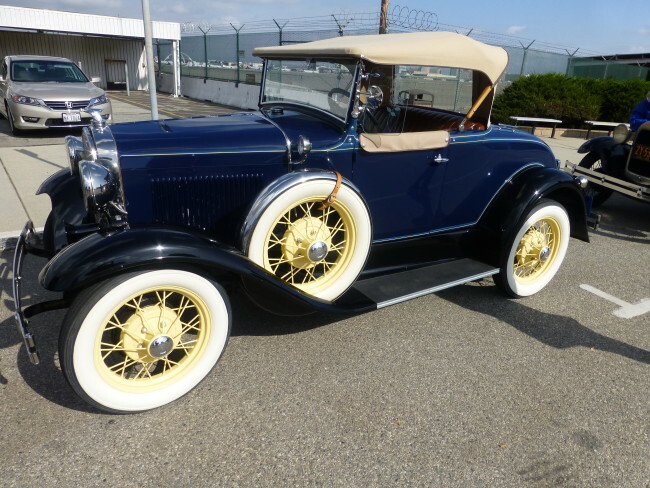 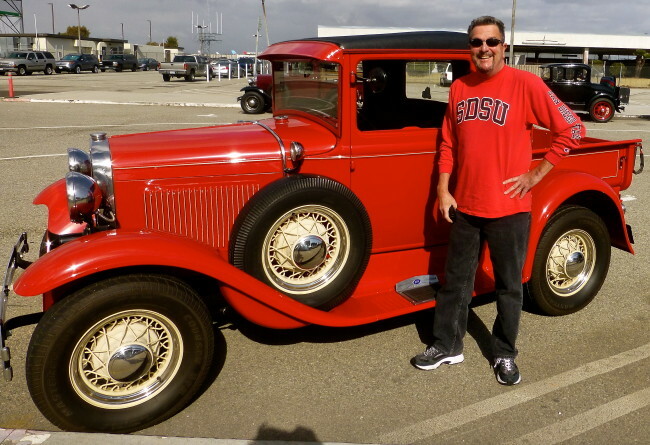 Before entering, we wandered outside the museum because there was a classic car show featuring vintage automobiles. 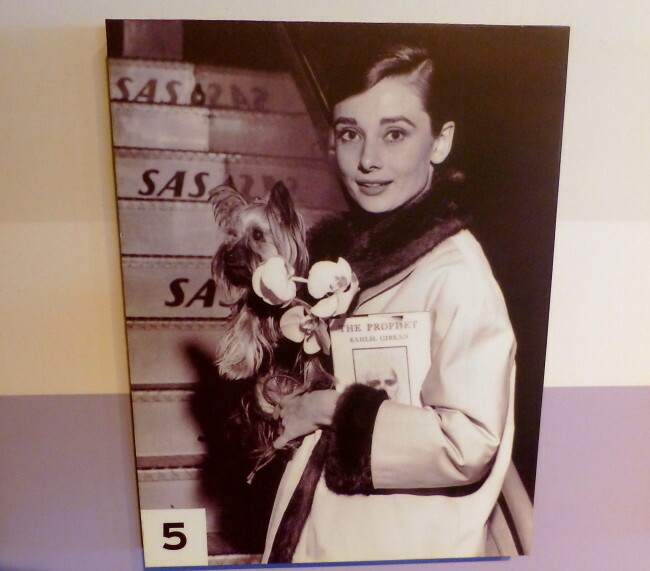 This was an added bonus. 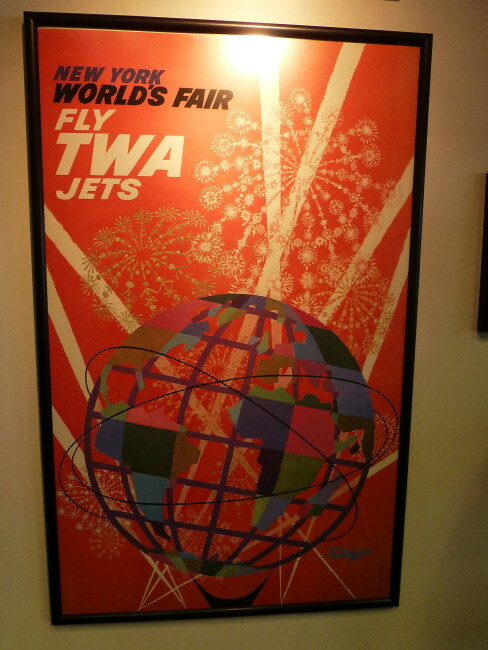 …and an old TWA Departure sign. 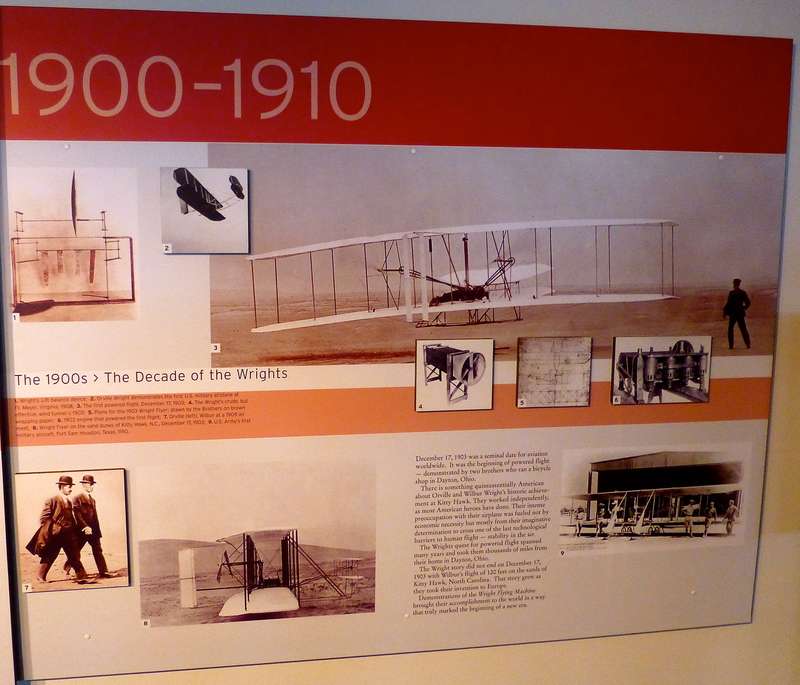 Once inside the actual museum, there is a history of aviation on the walls spanning all the decades from the early 20th century when those innovative brothers possessed the Wright stuff to the present and everything in between. 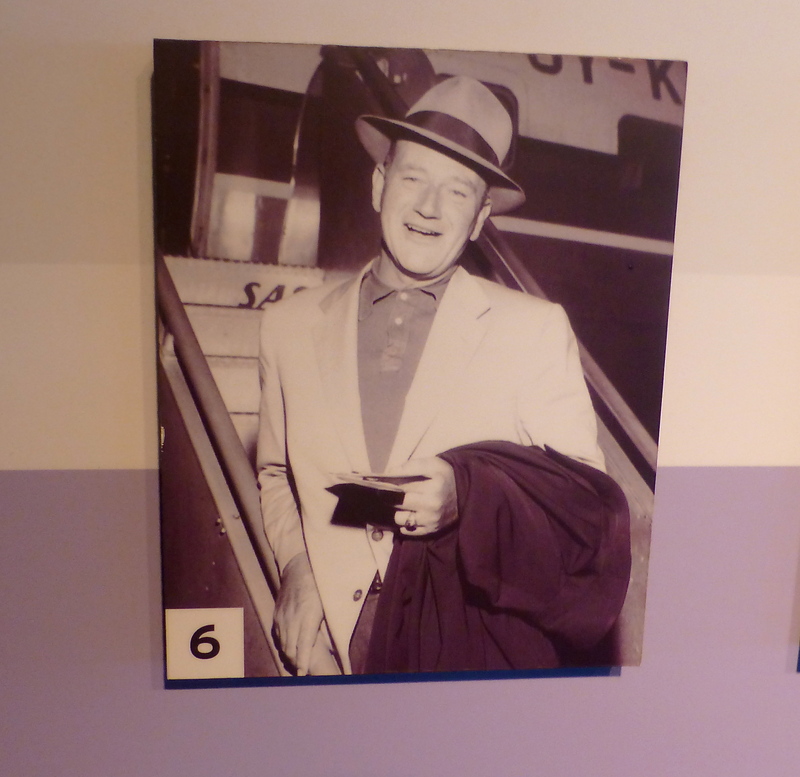 There are lots of vintage photos, many of them showing Hollywood stars like John Wayne and Audrey Hepburn (people used to dress much nicer for flights back then). 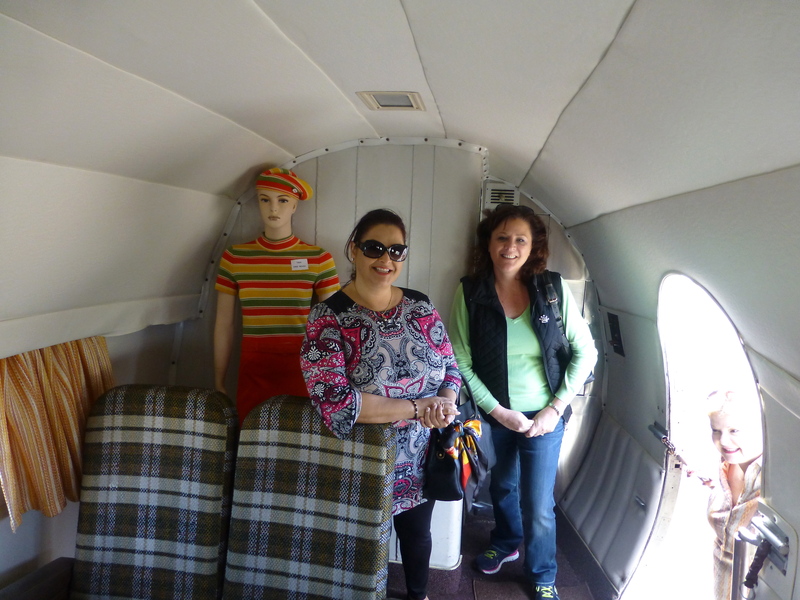 For a moment Tracy, Joanne and Helen became old time stewardesses…and they didn’t make me change it to flight attendants. 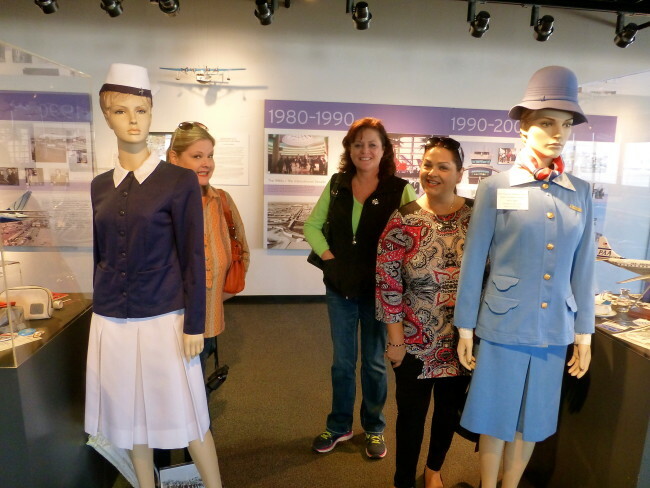 There are lots of different styles that these flight attendants have worn throughout the years. 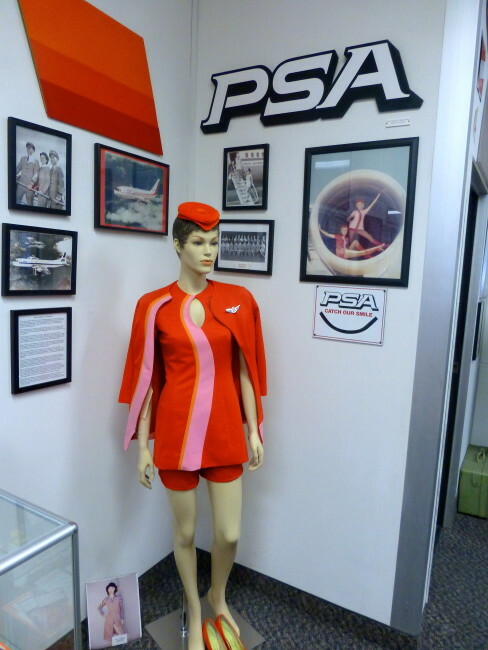 For some reason, I am partial to the old Pacific Southwest Airlines (PSA) uniforms. 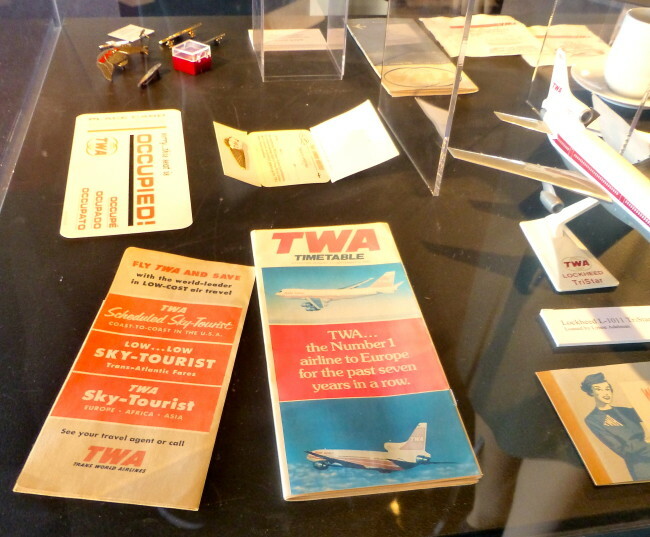 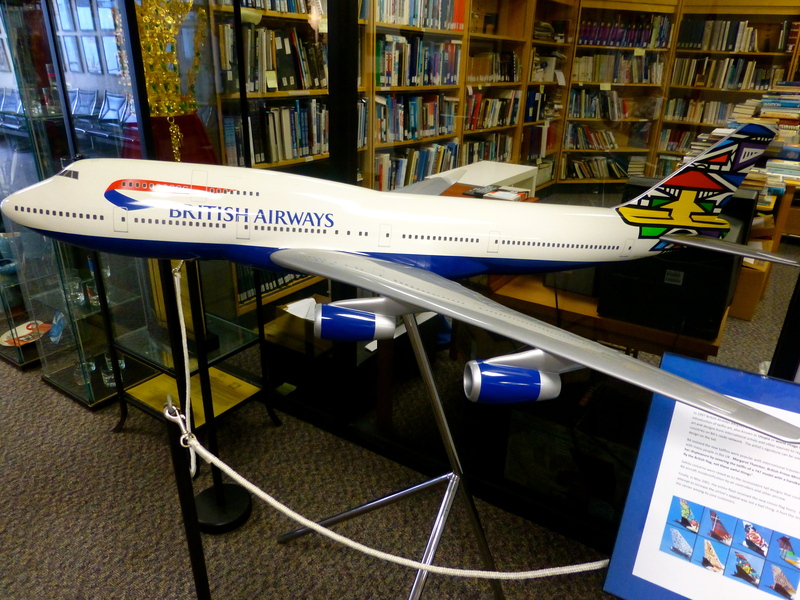 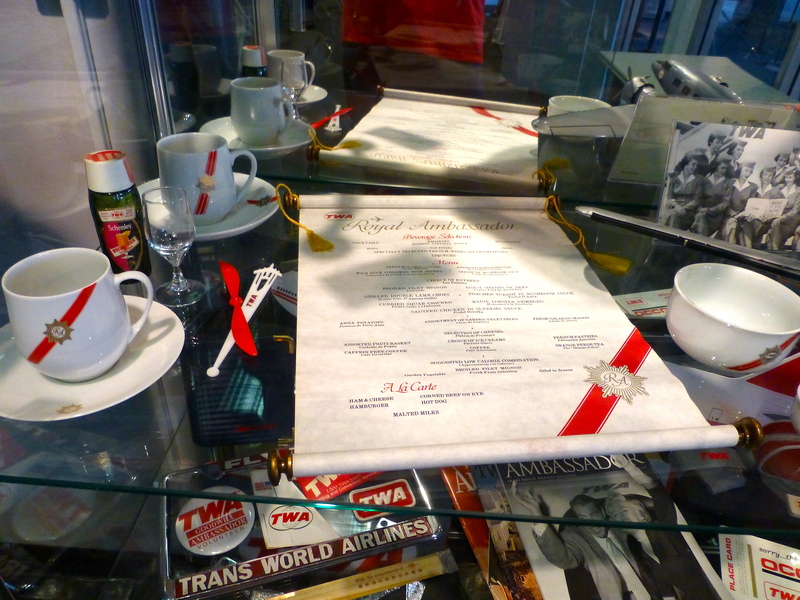 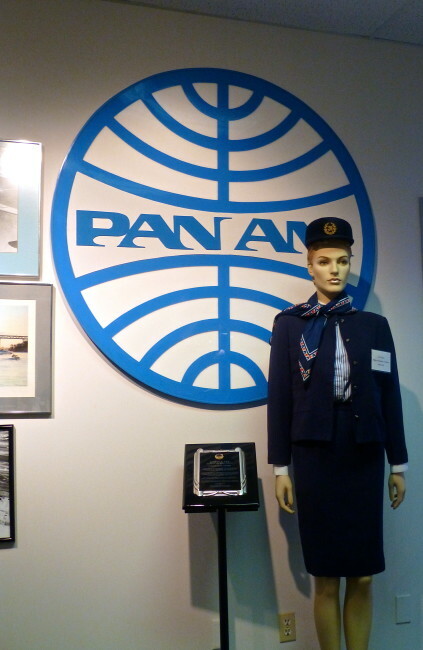 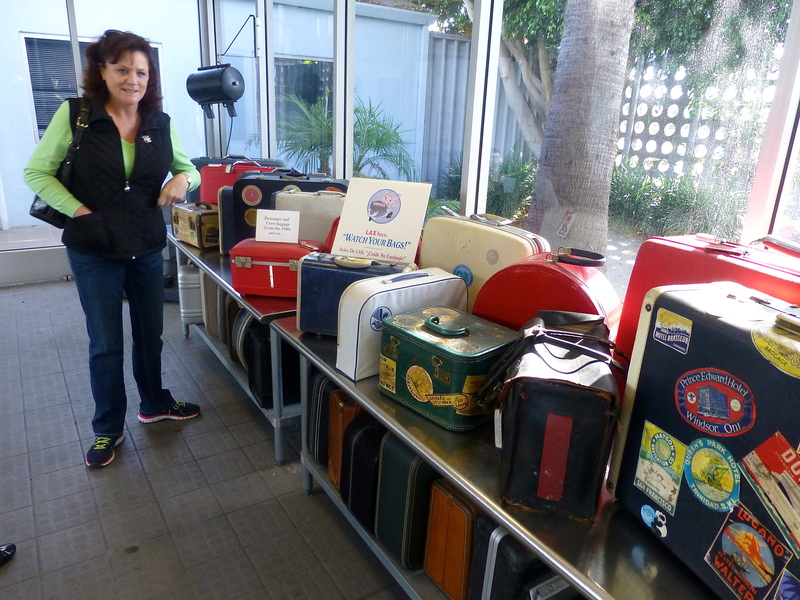 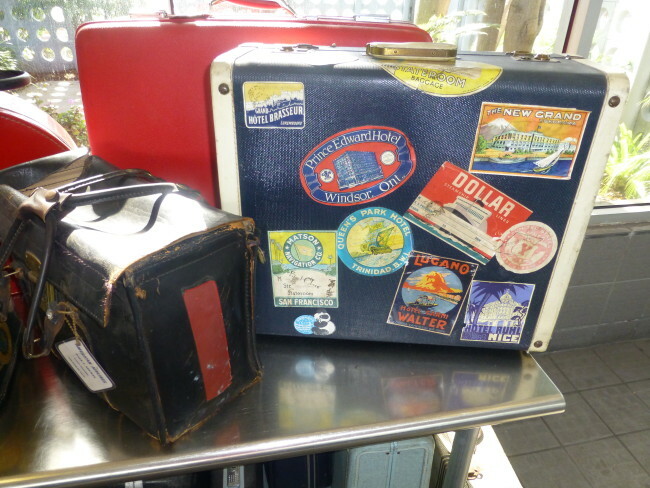 There are numerous display cases filled with fun airline memorabilia. Remember the good old days when the guy next to you could light up a Winston and nearly kill you with second hand smoke before you reached Chicago? 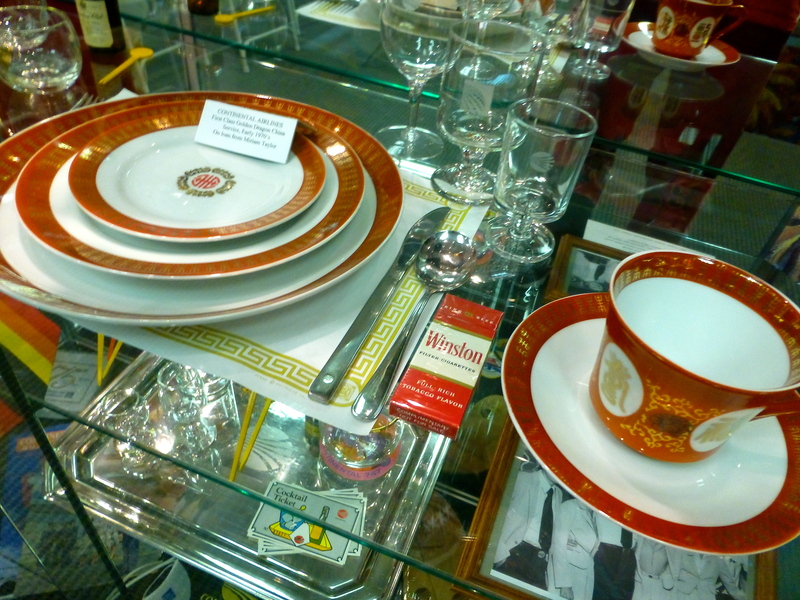 Yes, you could eat off of real china, too. Some of the stuff brought back memories of flying with my parents when I was a kid. 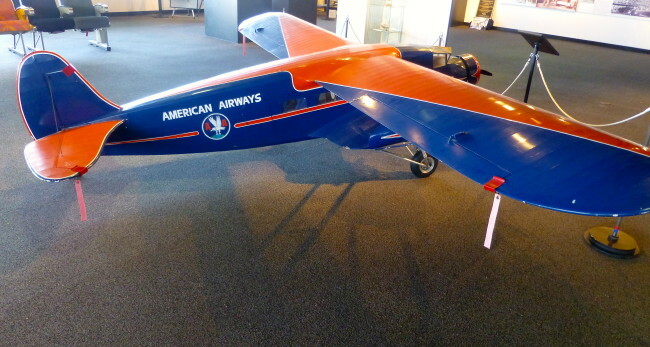 There were also a number of miniature models of airplanes. Actually I think the legroom on our British Airways flight to London the previous month matched the miniature. 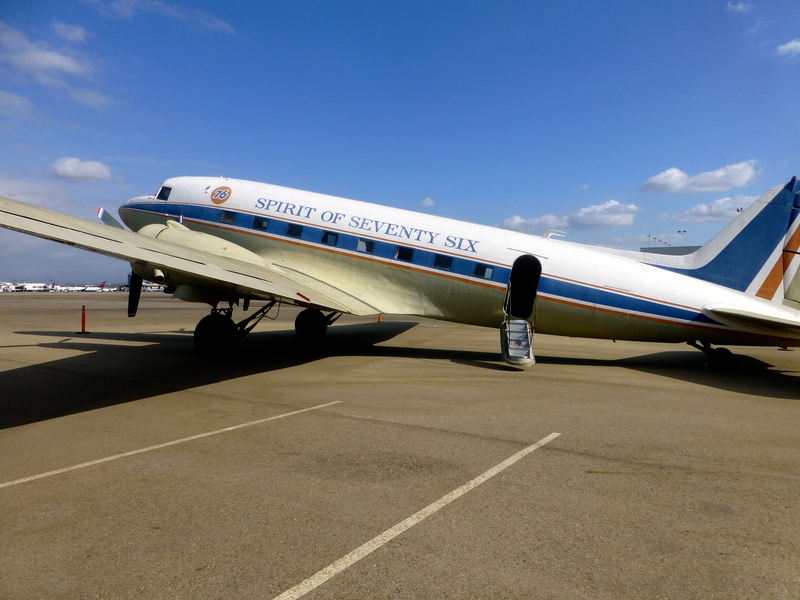 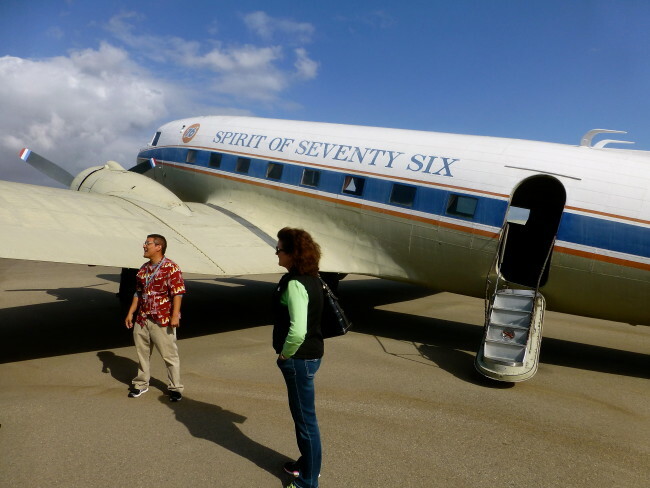 We stepped outside for a while and were met by a gentleman who had us step aboard an old plane that flew back in the 1940s for the Union Oil Company. 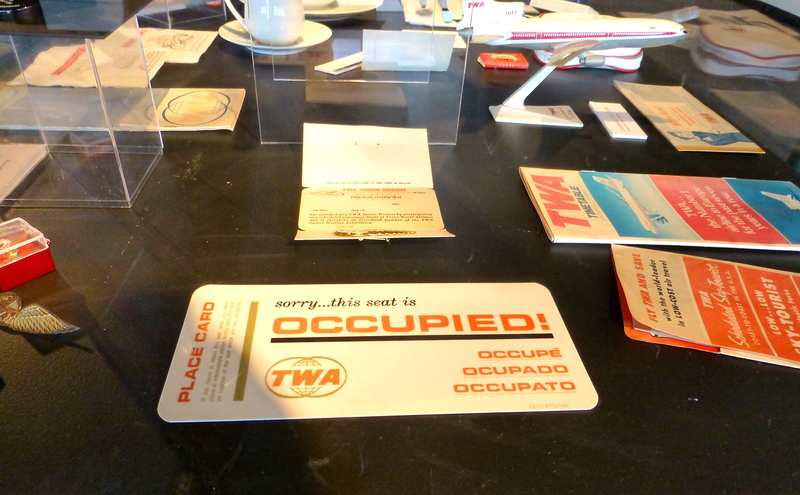 Not ones to decline a nice invitation, we agreed to go aboard. 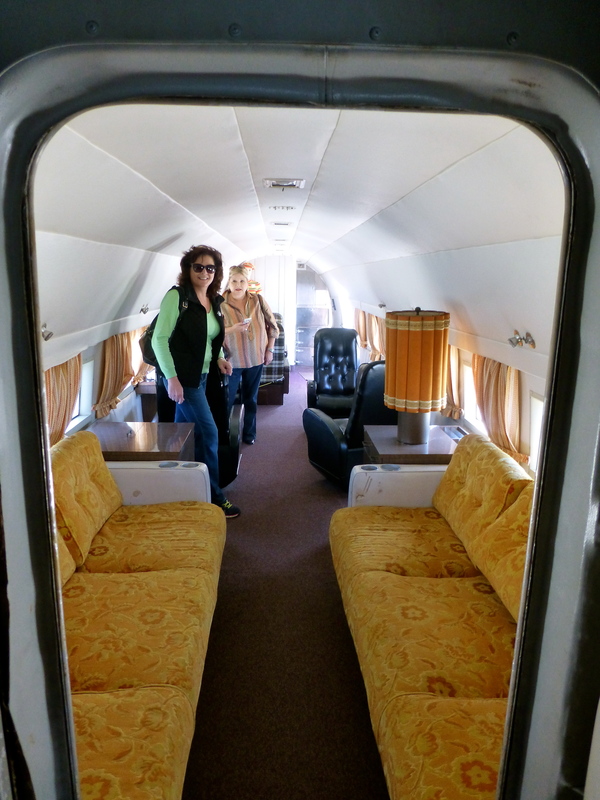 There was not a lot of room to navigate in these old planes as the quarters were pretty tight. 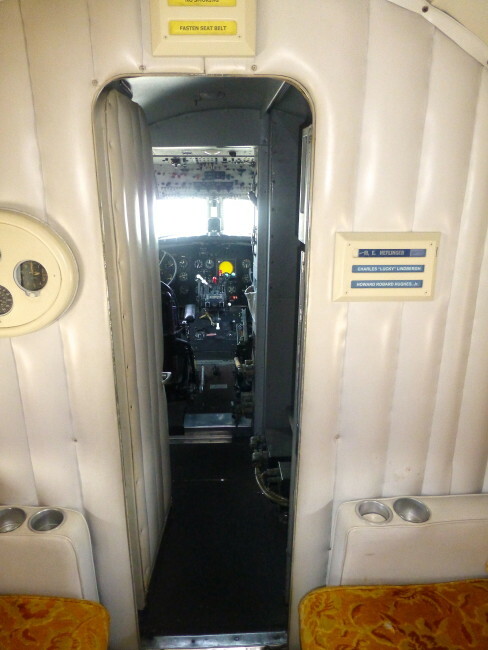 Climbing into the miniscule cockpit, I was almost able to hijack it before being found out. Then we received another added bonus. 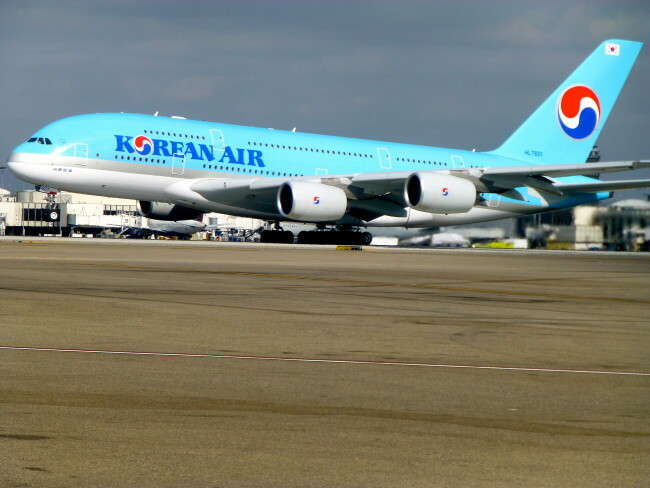 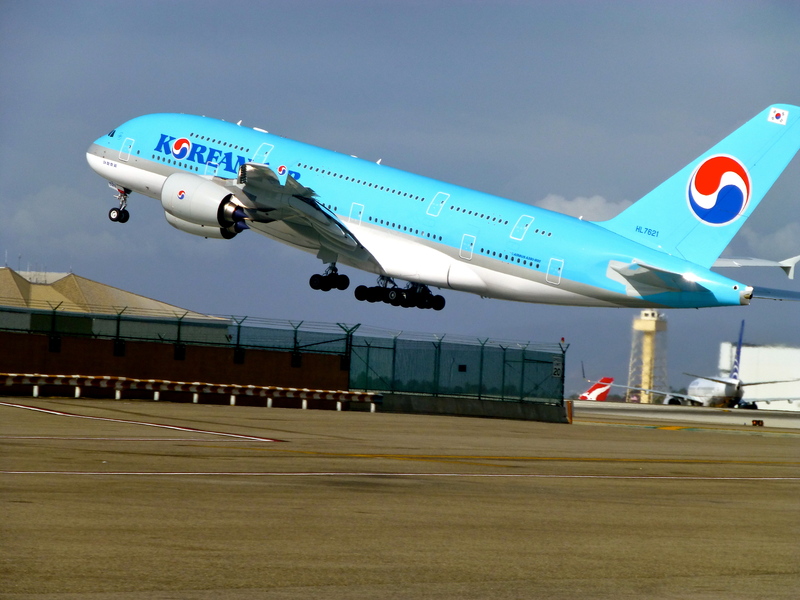 Because of wind conditions, one of the giant Korean Air Airbus A380s was going to take off right next to the museum. 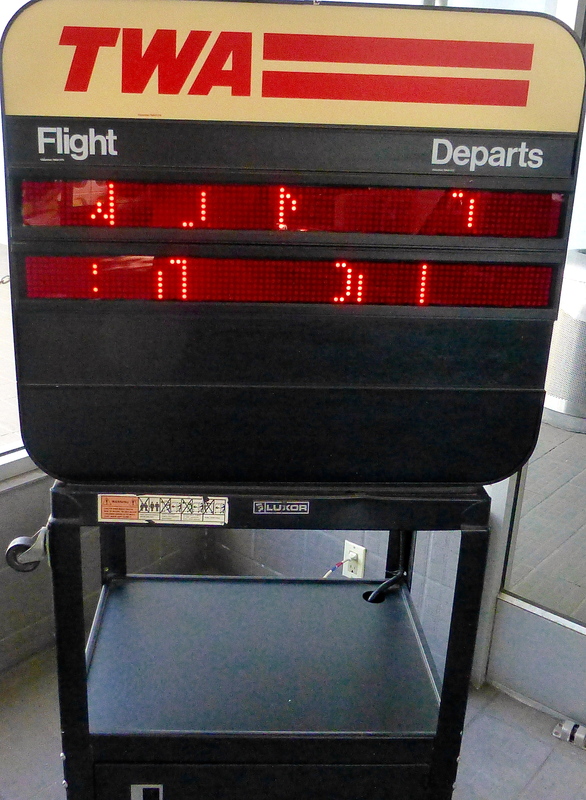 It’s hard to believe this baby got off the ground (it looked like it was traveling at 5 mph), but it did. 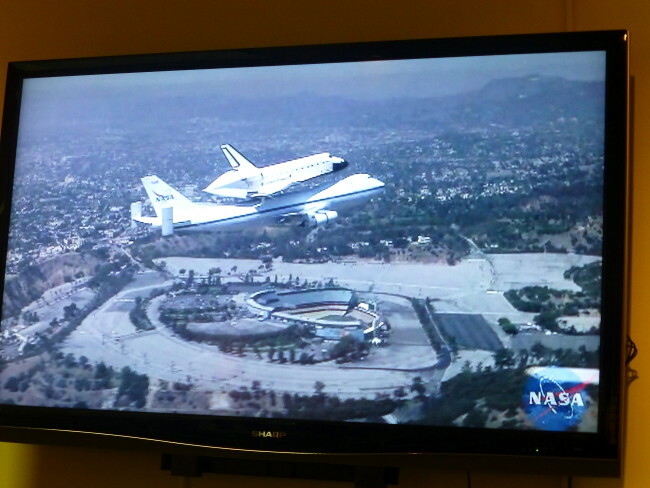 Back inside, we toured some other rooms containing more historical airplane memorabilia (I actually did fly on TWO to go to the New York World’s Fair in the mid 60s) and watched a video about how the Space Shuttle Endeavor was transported to LAX earlier in the year. 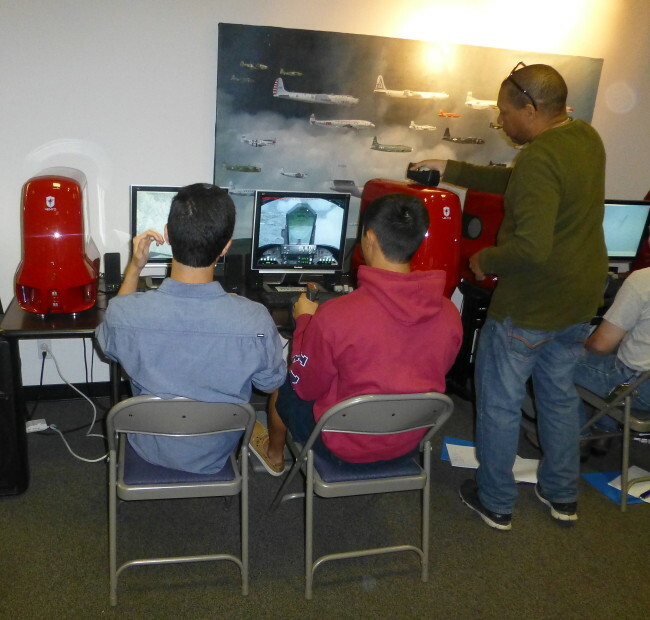 On the way out, we stopped in next door where future pilots were using the museum’s flight simulators. To make it a complete airplane day, Joanne said we should go to a nearby In-N-Out Burger (never a tough sell). 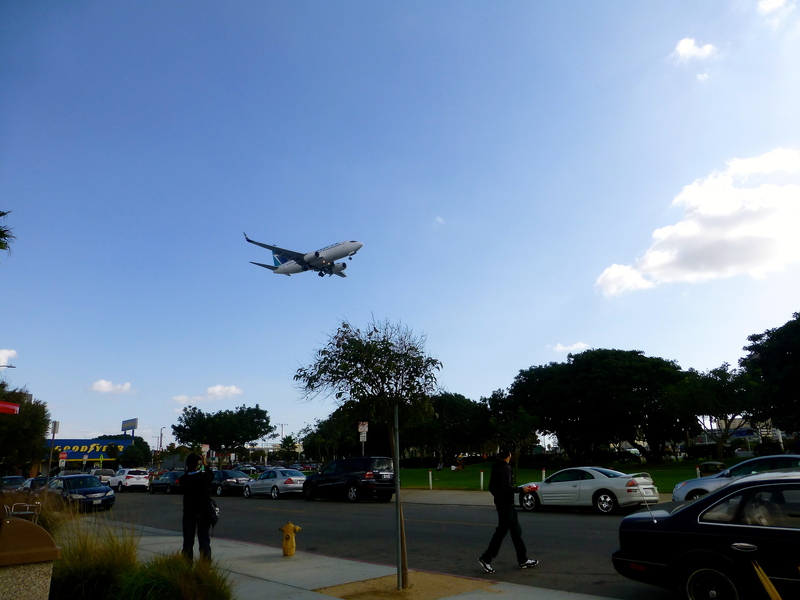 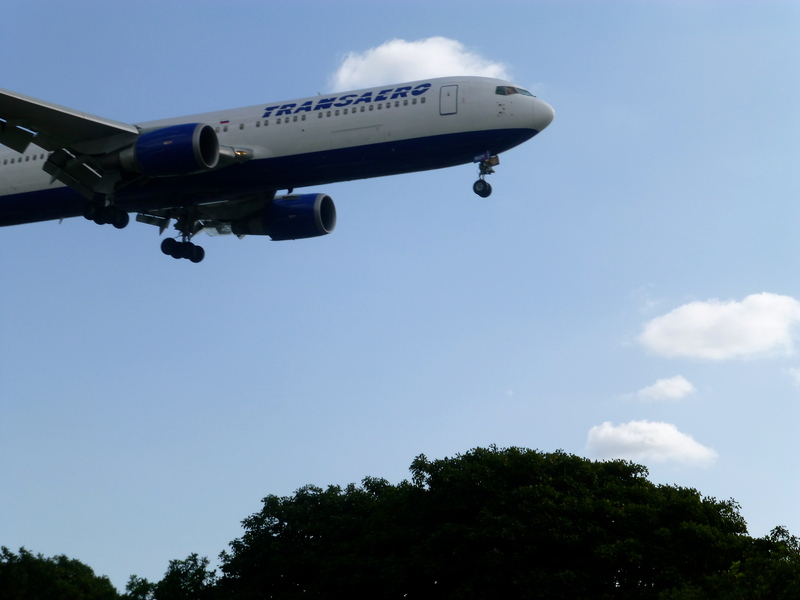 …with a park located right across the street where the planes seem to scrape the tops of the trees. So while chomping on a hamburger and fries, for the better part of half an hour we watched the planes come in. 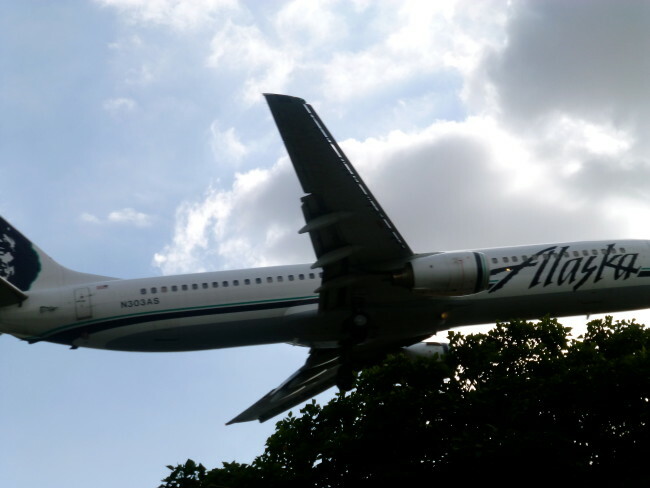 The Alaska Airlines flight seemingly touched the trees. 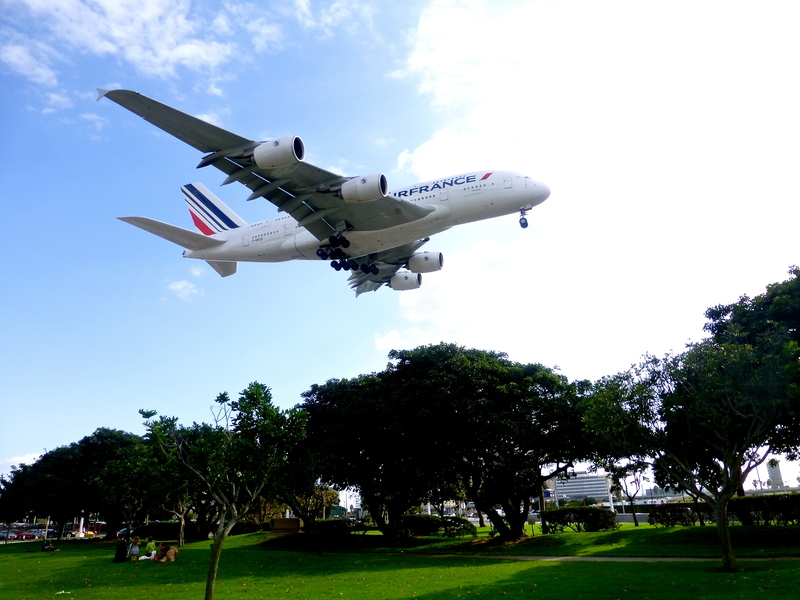 But there was one we were waiting for…another Airbus A380…this one belonging to Air France (the one we would fly a year later) on a flight from Paris. Just like clockwork, a little before 1:30, it appeared on the horizon, and as it passed by us, it took up much of the sky. 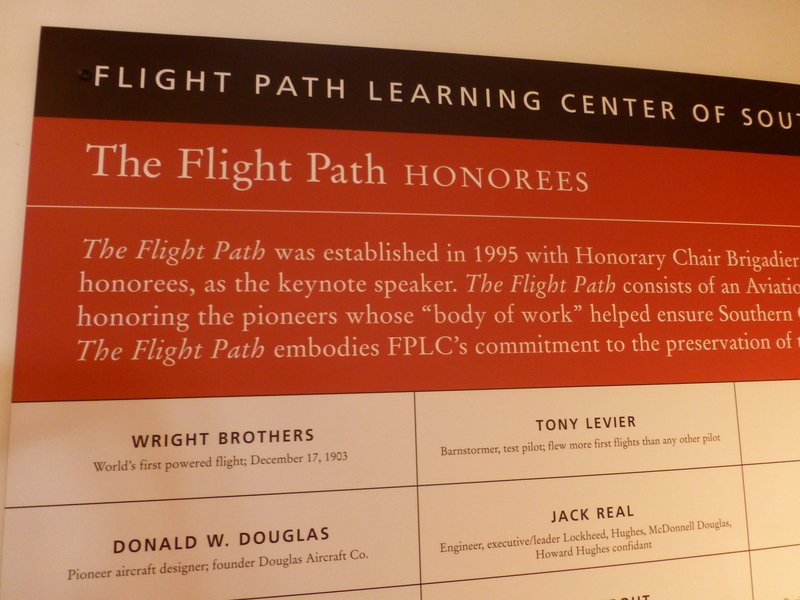 Visiting the Flight Path Learning Center & Museum was something that had never been on my radar, probably because I had never heard of this informative (and fun) little museum before Joanne told us about it. 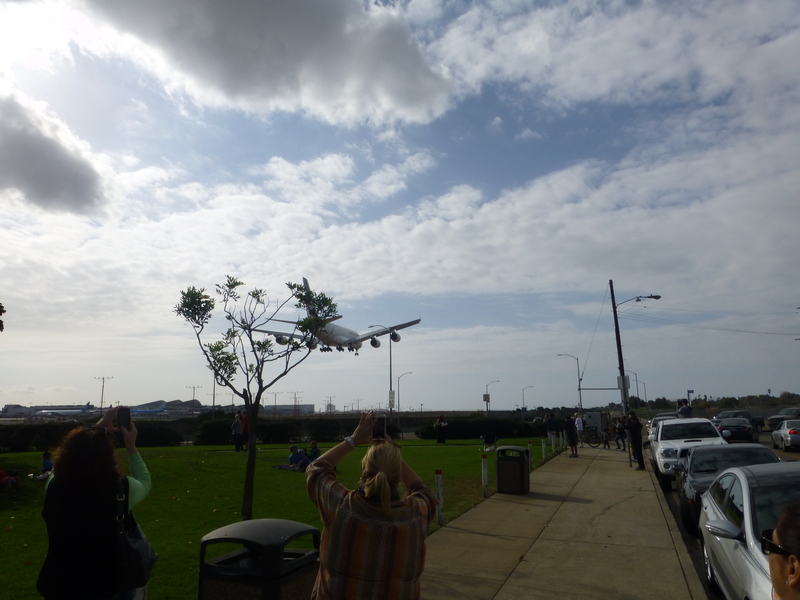 Remember after your visit to go grab a burger, watch some planes come in and be a kid again. 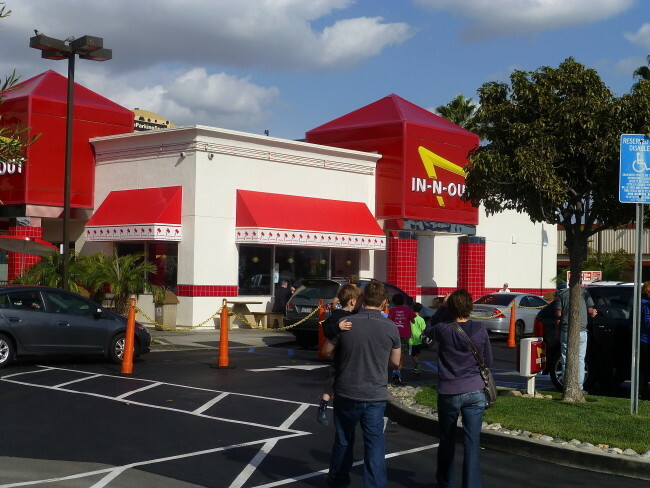 Hours: Tuesday – Saturday 10:00 a.m. – 3:00 p.m. 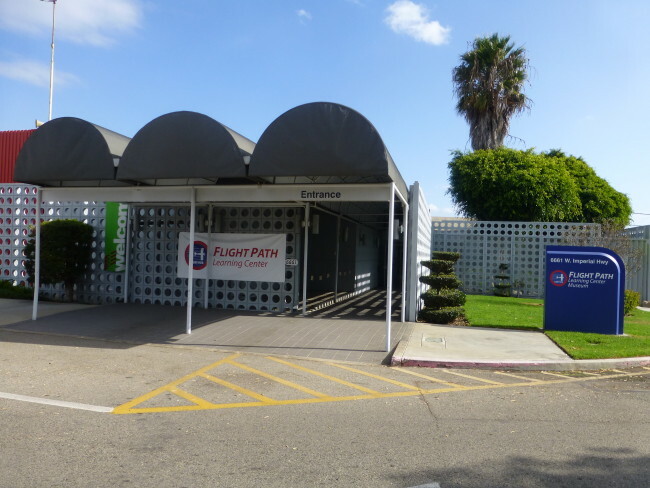 Directions: The Flight Path Learning Center is located in the LAX Imperial Terminal, located at 6661 W. Imperial Highway, Los Angeles on the south side of the airport. Approach from the east via the 105 (Century) Freeway. 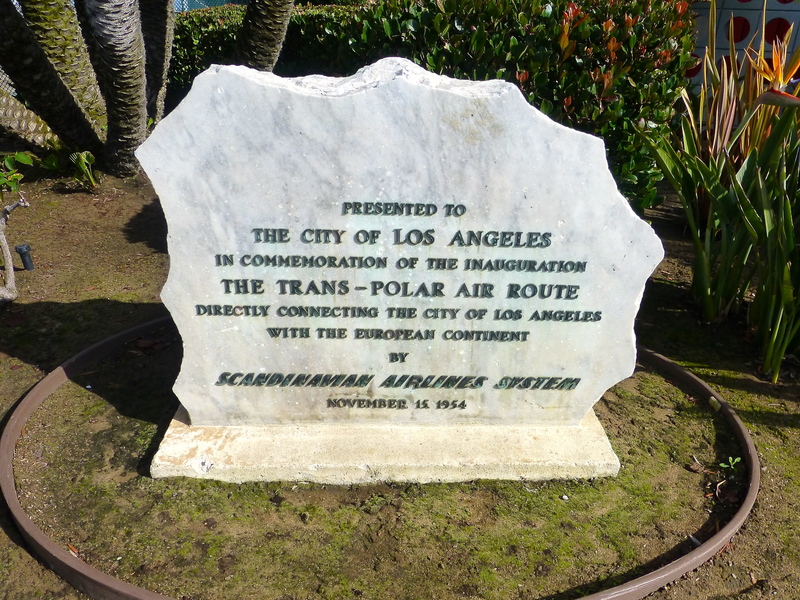 At the end of the Freeway watch for the Imperial Terminal/Flight Path Sign. Turn right at the second traffic light, then right again and proceed to Free Parking adjacent to Flight Path. Approach from the west on Imperial Highway. Turn Left at the Imperial Terminal Sign, then right and proceed to Flight Path.